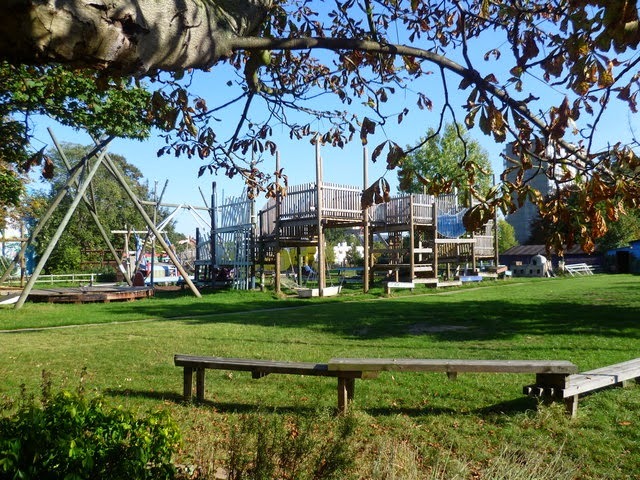 We're all invited over to Stockwell's Slade Gardens today, where the Friends of Slade Gardens will be planting eleven new trees including Horse Chestnut and Foxglove. The park itself is on the corner of Stockwell Park Road and Lorn Road and is perhaps not particularly well known to outsiders, and was housing and streets until 1944, when a V1 rocket destroyed a number of houses, killing 11 people. 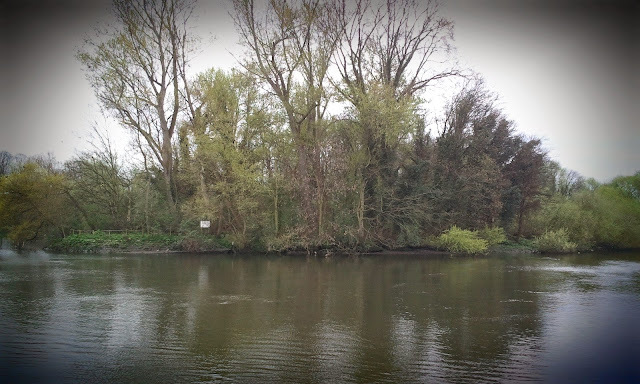 After a number of years of buying up surrounding houses piecmeal, the Gardens finally opened in 1962 and have been enjoyed by locals ever since. All are invited to take part in the tree planting, and to join the Friends afterwards, at the Crown & Anchor pub for lunch and a drink. 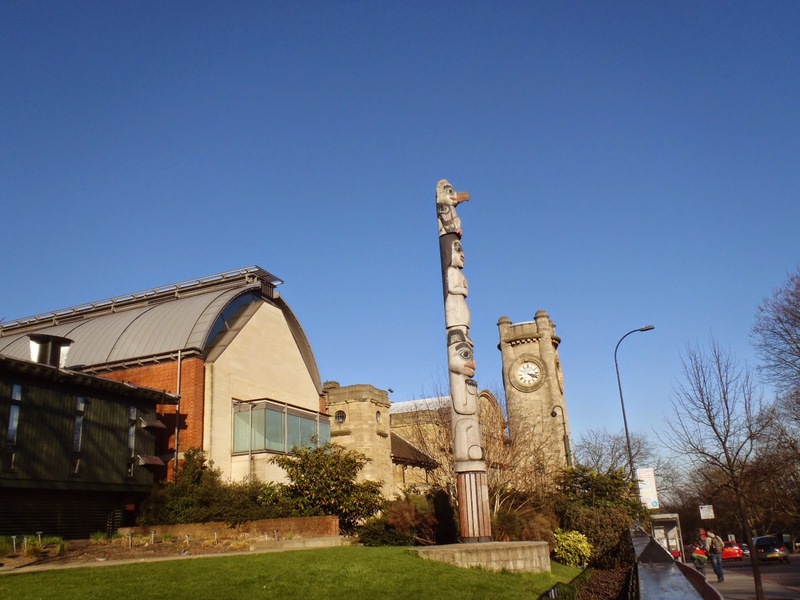 An evening of art inspired by Chinese culture this evening at the Horniman Museum in Forest Hill, where music, film, dance and installation art come together, accompanied by a special menu of Chinese food at the Horniman Café. 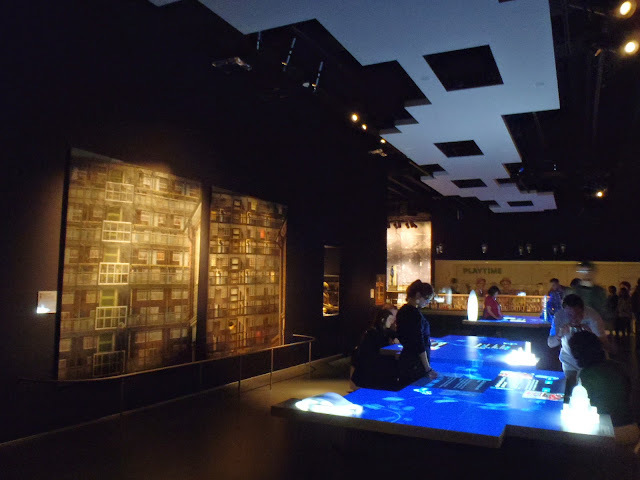 Learn abour Chinese musical instruments, watch Chinese ribbon dance, see fantastical landscapes and environments made out of arrangements of found materials, watch a tradional tea ceremony and watch short films that examine the history, traditions and everyday life in China, all for just £5. In part of their ongoing charge to be London's best station, not only have they stolen the Foyles from St Pancras International, but they're also currently hosting a free exhibition on the upper concourse at London Waterloo of the Landscape Photographer of the Year awards. We already know the winner, which was Mark Littlejohn's A Beginning and an End taken in Glencoe, a very beautiful spot indeed as your author was reminded at the weekend. The exhibition closes this Saturday, so now is the time to see it. Music tonight at the Georgian Embassy, where the British Georgian Society present an event called 'Healing Power of Georgian Polyphonic Music' with Nana Mzhavanadze, who is, we are told, an ethnomusicologist from the Tbilisi Music Conservatoire with deep knowledge of Georgian polyphony. Mzhavanadze was raised in the mountains of Western Georgia, one of a family of traditional village harmony song-masters and mistresses, before studying a PhD in music, and embarking on a career which brings her regularly to the UK to deliver workshops. 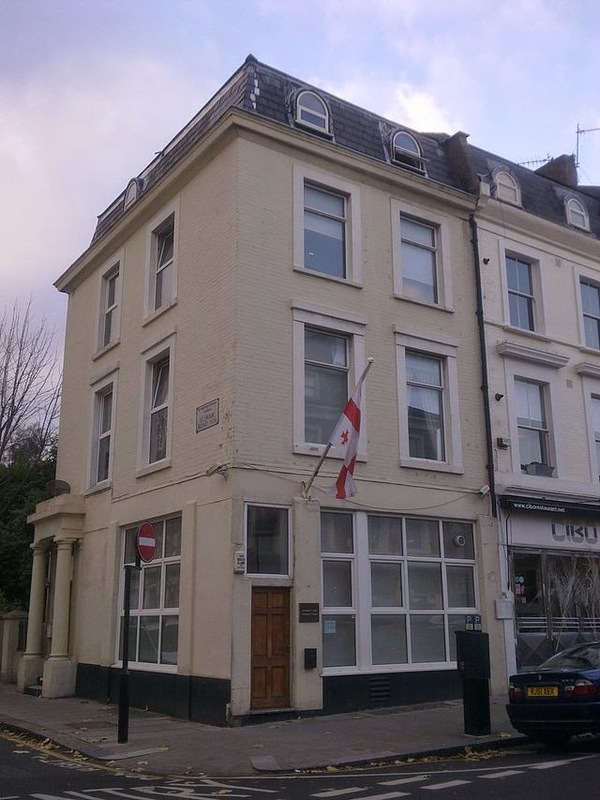 Plus you get to go to the Georgian Embassy. 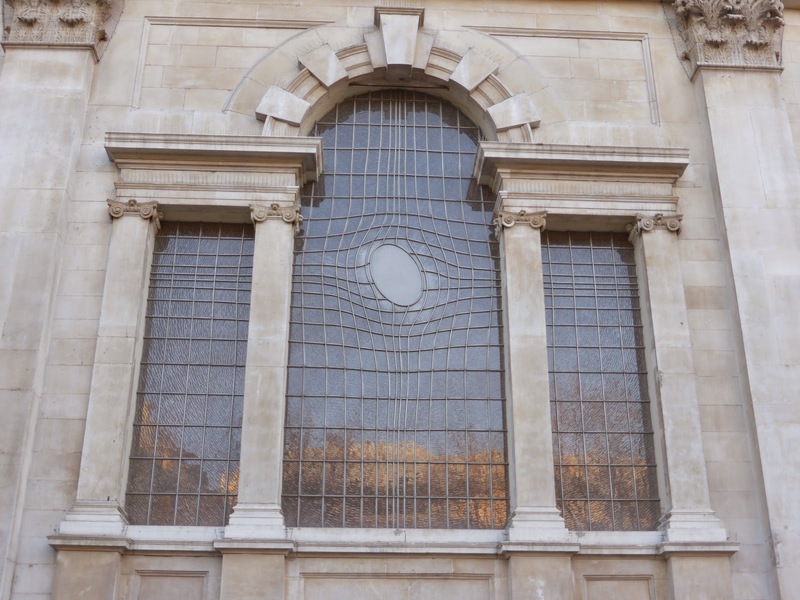 Installed as part of the £36 million refurbishment project which took place at St Martin-in-the-Fields from 2005 to 2008, Shirazeh Houshiary and Pip Horne's East Window is beautiful in its apparent initial simplicity, made of etched blown clear glass and similarly monochromatic peened stainless steel. One aspect of the brief was that the window should "successfully animate the light", and it certainly achieves that, whilst maintaining the interest of the viewer with its other-worldly curves. It's Chinese New Year already, and London's Chinatown will overflow this morning from Gerrard Street into Trafalgar Square, for some of Europe's biggest Chinese New Year celebrations with thousands welcoming the Year of the Goat. 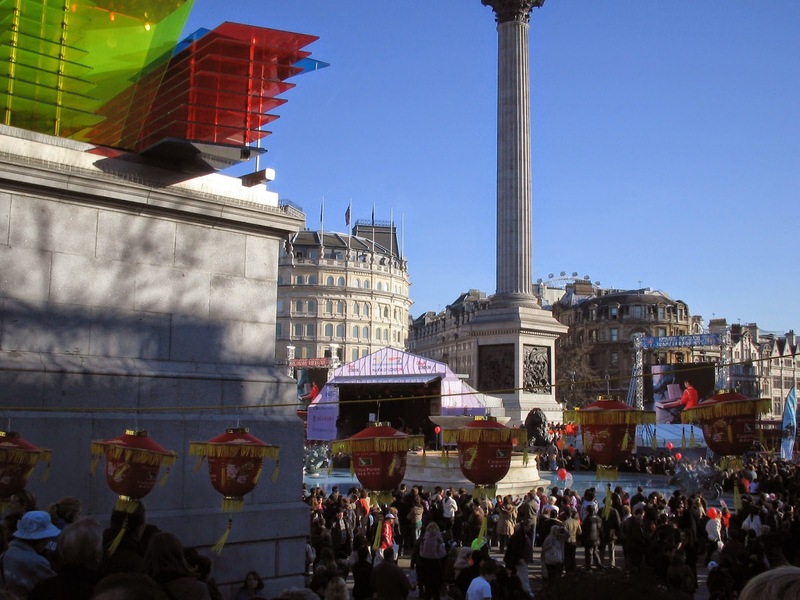 We are told that the Chen Brothers' Flying Lion Dance will be a highlight, and celebrations will also see Chinatown decorated with beautiful lanterns, and thronged with parades Meanwhile, in Trafalgar Square visitors can expect music, acrobatics and martial arts. Anyone who says that you can only have a good time in London if you have a lot of money just isn't trying hard enough, as your author was reminded when he met up with Jane last Thursday for a free concert with the Southbank Sinfonia at St John's Waterloo. 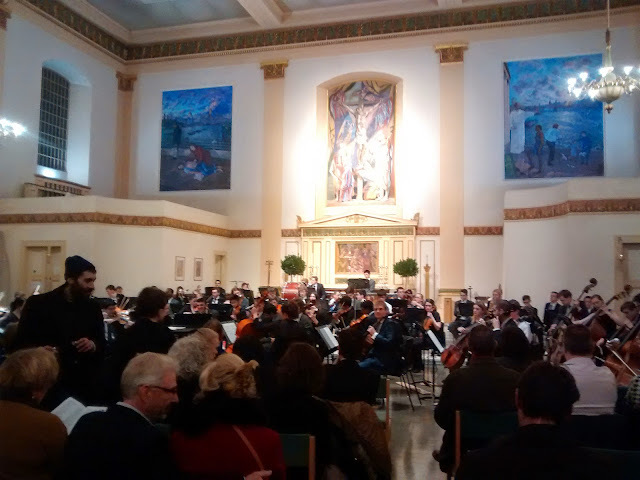 Free wine was provided, as the Sinfonia were joined by Cardinal Vaughan Memorial School for Mahler's Symphony No. 4, and an hour later the audience were asked to donate only whatever they thought it was worth. Tonight, the weekly series continues with a concert called 'Dancing Rhythms', at which we can expect Piazzolla’s Argentinian Tangazo and Romero's Fuga con Pajarillo followed by Beethoven Symphony No.7, which we are told was described by Wagner as “the apotheosis of the dance”. Once again it's free, you don't need a ticket and it only takes as much time as the delayed 17:58 service to Windsor & Eton Riverside. Always well behind the curve, it's taken your author a good few months to get round to seeing Grayson Perry's 'Who are You?' exhibition at the National Portrait Gallery, but thankfully it's still not too late to write it up because there's still a month yet. For those who didn't see it on telly, the exhibition involves Perry exploring the modern British identity through portraits of famous and not-famous, with a bit of self-portrait thrown in for good measure. Works are presented mostly on the first floor of the gallery, interspersed with the gallery's permanent collection, and it seems typically naughty to find Perry's works next to those of Royals, politicians and great scuptors. Each piece involves a different subject, examining modernity through people like disgraced former Cabinet Minister Chris Huhne - who is represented by a smashed vase covered in penises and number plates - an X-Factor contestant from Essex - who is represented in a minature as a modern Earl of Essex - and a young white Muslim convert called Kayleigh Khosravi - who is pictured on a silk screenprinted headscarf titled The Ashford Hijab. It's all brilliantly accessible, and done with Perry's usual humour, imagination and insight. And it's free. 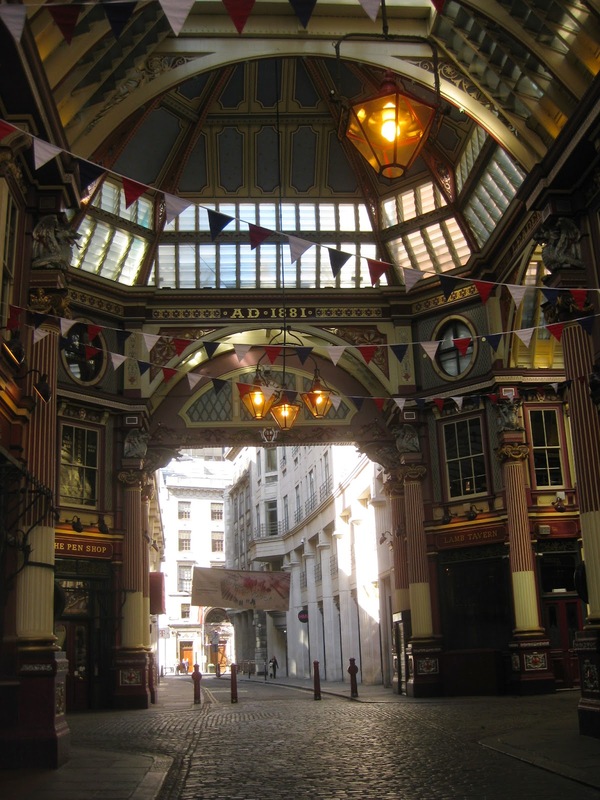 It's Shrove Tuesday today, and if readers aren't already bored after their pancake breakfast and midmorning pancakes, they are invited to head down to Leadenhall Market in the City of London from noon - 2pm for the annual Leadenhall Market Pancake Race. Teams of four racers have been drawn from businesses in the Market and immediate locality, and will be battling it out to win a free meal at the Lamb Tavern which will be offering free pancakes for the first 100 spectators and paid-for pancakes for everyone else. Whilst readers might not initially expect to find a statue of a slave and sugar plantation owner beside West India Docks, it can hardly be a surprise, and tells us a lot about this part of town. 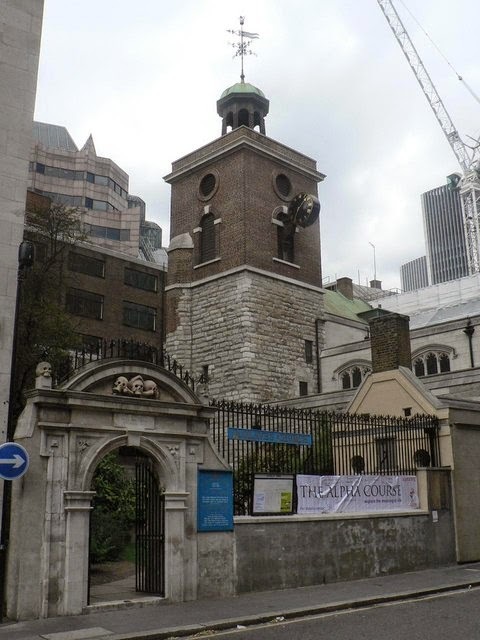 Robert Milligan was a Scottish merchant who was a driving force behind the construction fo West India Docks, an establishment man who served as Deputy Chairman of the West India Dock Company when construction began in 1800. 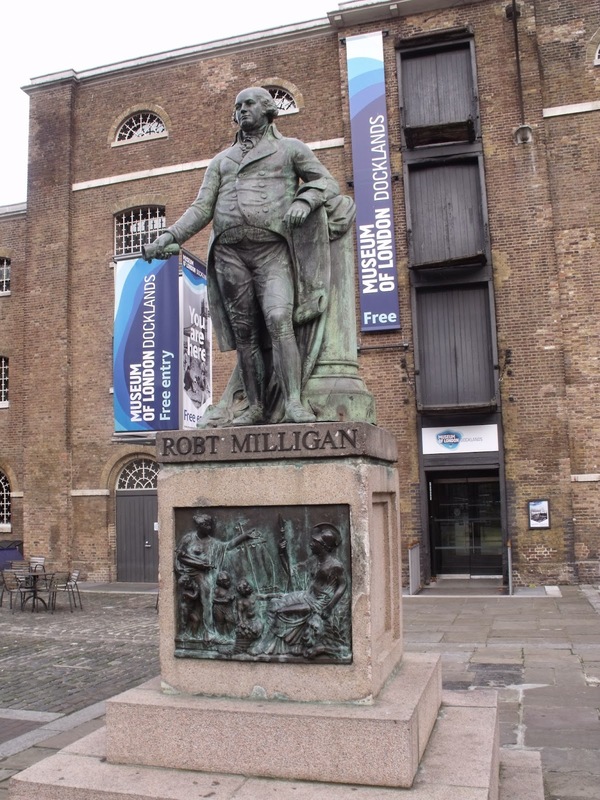 The Docks opened in 1802 and when Milligan died seven years later the company commissioned a statue of him which now stands in front of the Museum of London Docklands. 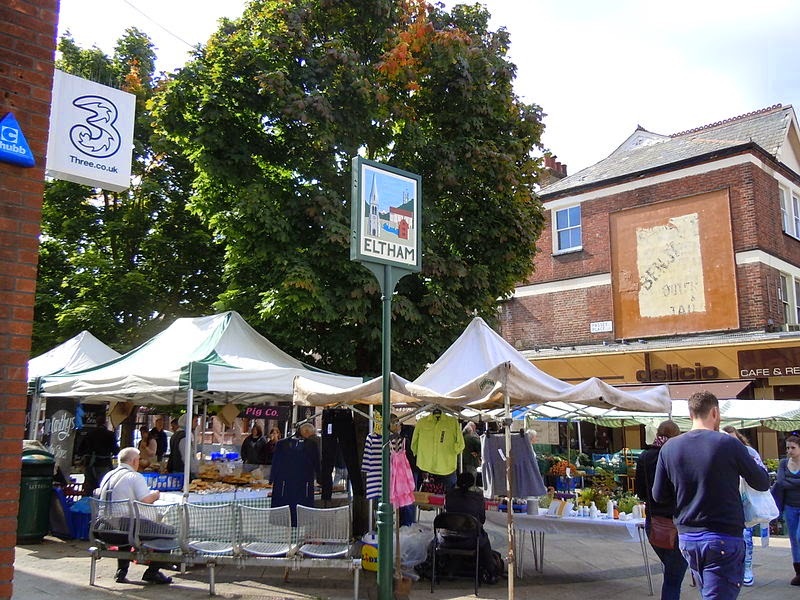 Today's farmers' market in Eltham features a special walking and cycling event, with the chance to find out more about cycling and walking in the local area, and get a free bike check up from Dr Bike. The regular market has run at Passey Place in Eltham since 2007, and attracts farmers and producers from as far afield as Kent, Essex and Cambridge. Most London venues imagine Valentine's Day should either include a forced romantic date with a partner or a drink-all-you-can celebration of singledom, so it's pleasing that this evening's anti-Valentines party at Drink Shop Do in King's Cross is open to ordinary people who happen to be both in couples of single, but don't fancy the false commercialism of it all. We're told that there will be no hearts or love songs and DJs Jamie Castle and Huw will be playing the best of old school. On the downside, wacky types wearing Onesies or pyjamas get in free. If you don't already consider yourself a bohemian, this evening's late opening at the Museum of London attempts to encourage you towards becoming one, without transporting you to the Western Czech Republic. 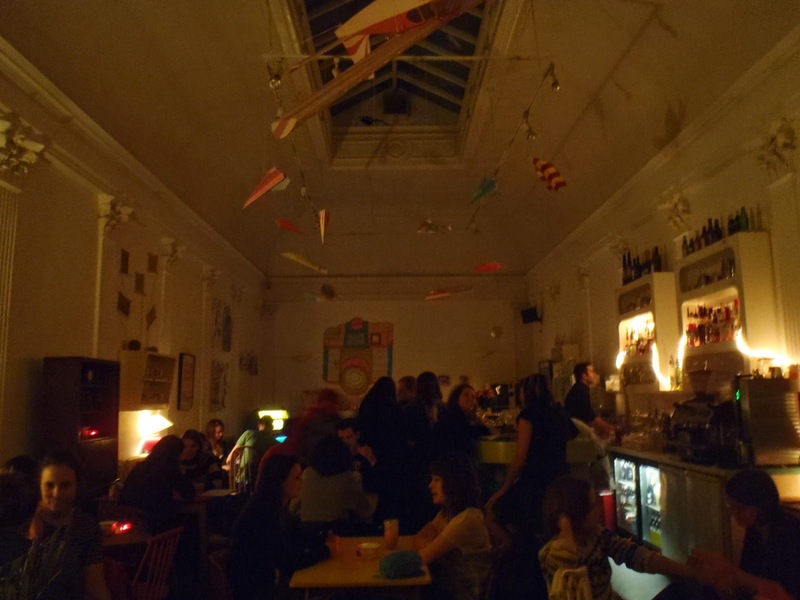 Tonight from 7pm - 10pm as part of their regular late openings, the Museum offers you the chance to come along and enjoy a 13 piece Balkan Brass ensemble, and installation art from Kirsty Harris. We are told there will also be Absinthe, philosophy, talks from Sherlock Holmes researcher and author Angela Buckley, life drawing and something called a Bohemian lifestyle checklist. It all sounds rather fun. The UK’s largest cycling show comes to ExCeL today, and continues all weekend, with hundreds of bicycles which your author cannot afford, and plenty of other bits and bobs related to road cycling, mountain biking, BMX, cycle cross, a pootling around town after work. Tickets also include entry to the Telegraph Outdoor Adventure & Travel Show, and another event about something called Triathalon, which sounds awful. 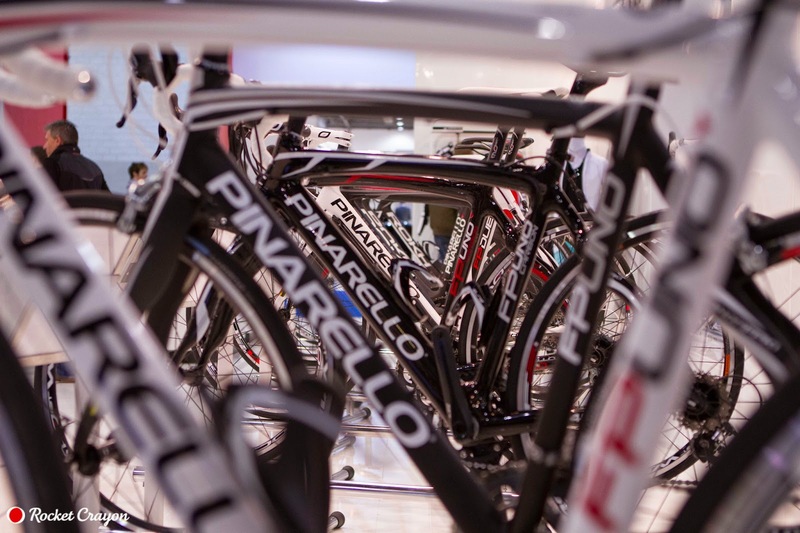 Essentially all these events are the sort where you pay to be sold things, but that seems to be the way the world works now, and for the real bike enthusiast there will be plenty to see. 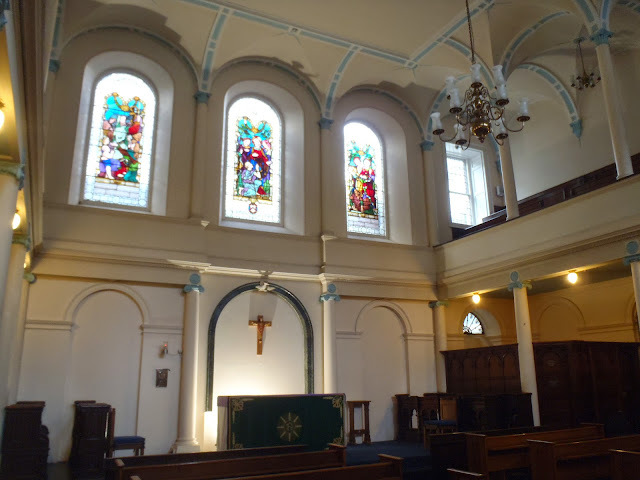 As part of a bi-weekly series of such events, arts health research social enterprise Breathe AHR host a music recital in Guys Chapel at Guy’s Hospital this lunchtime from 1-2pm. Today, the Riot Ensemble’s co-principal pianist Claudia Maria Racovicean performs a concert of stunning and intensely expressive art songs transcribed for Claudia by her husband in a way which we are told will give life to Hugo Wolf’s famous poems Mörike Songs. It all sounds rather experimental and inaccessible, but it is free. 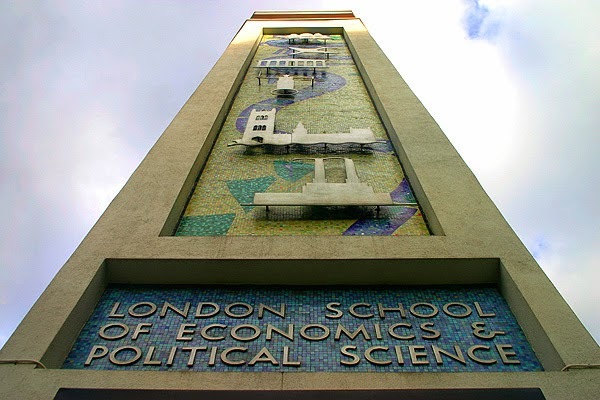 The London School of Economics is one of the world's most respected universities for social sciences, with students paying up to £27,000 a year to undertake courses, so it may come as a surprise to many that they are welcome to attend the School's regular public events lectures for free. 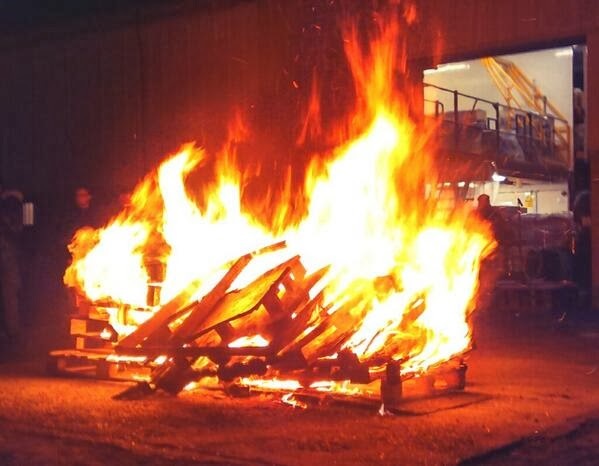 Tonight's lecture from 6.30-8pm examines the 2014 Hong Kong protests - also known as the 'Umbrella Revolution' - by drawing upon the expertise of staff from the LSE's Saw Swee Hock Southeast Asia Centre and the Institute of Public Affairs, as well as journalists from BBC China and the Wall Street Journal. 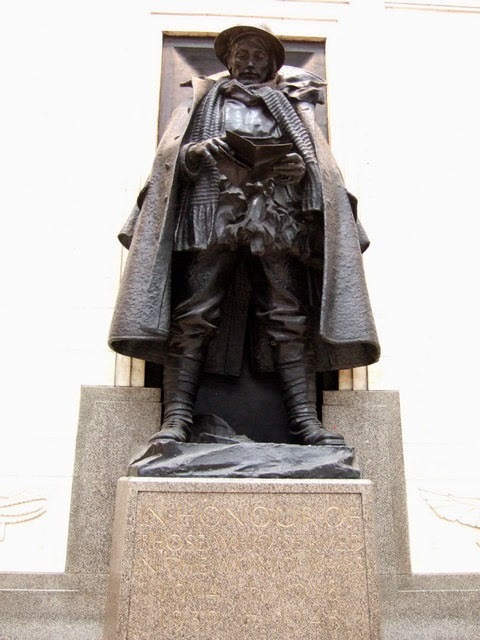 Charles Sargeant Jagger's poignant bronze memorial on platform 1 at Paddington Station remembers the employees of the Great Western Railway who lost their lives during the First World War via the figure of a soldier dressed for battle and reading a letter from home. 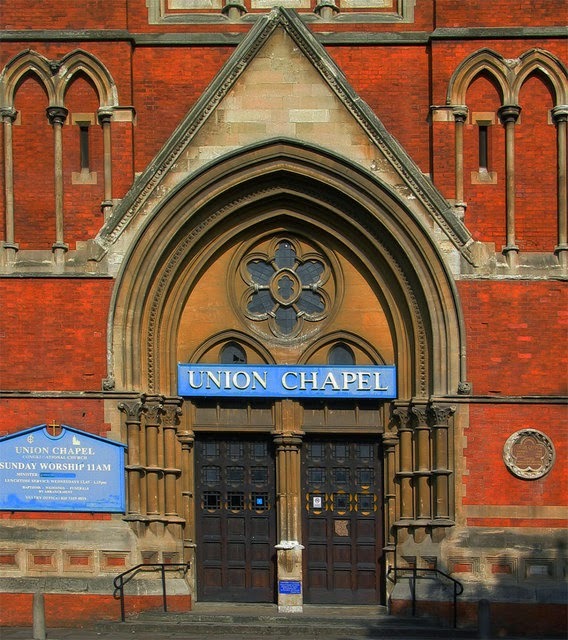 The figure is surrounded by stonework by Thomas S. Tait and was unveiled on 11th November 1922. Later inscriptions adapt the memorial to cover those who died during the Second World War. Hopefully there will never be a Third. 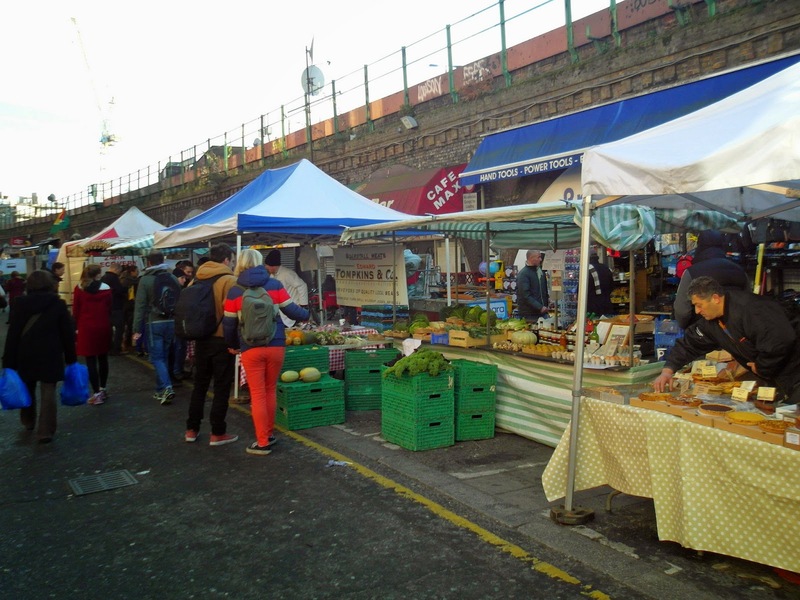 Though there are few farmers in Brixton, its weekly farmers market still takes place each Sunday, started in September 2009 and still going strong more than five years later. The market takes place from 9.30am until 2pm with cheese, meat, vegetables, herbs and organic fare, and stallholders travelling from as far as Somerset to sell their wares. Listen out at around noon today, as the King's Troop, Royal Horse Artillery will fire a 41 gun salute to mark the accession of Queen Elizabeth II, to the throne on 6th February 1952. 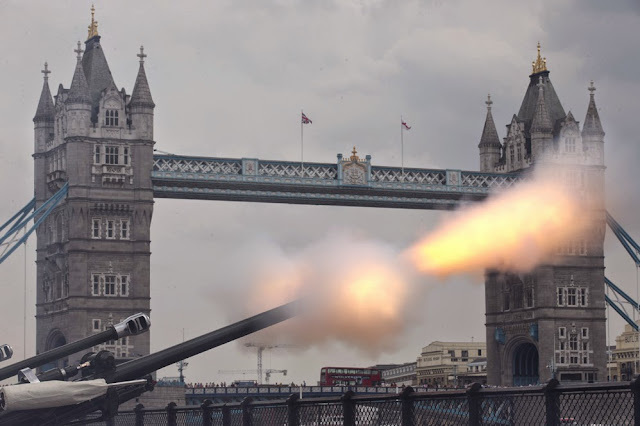 Salutes will be fired in Hyde Park and at the Tower of London at noon. We are told that this is a celebratory gesture as the firing of cannon as a salute indicates the friendly intent of an empty chamber. 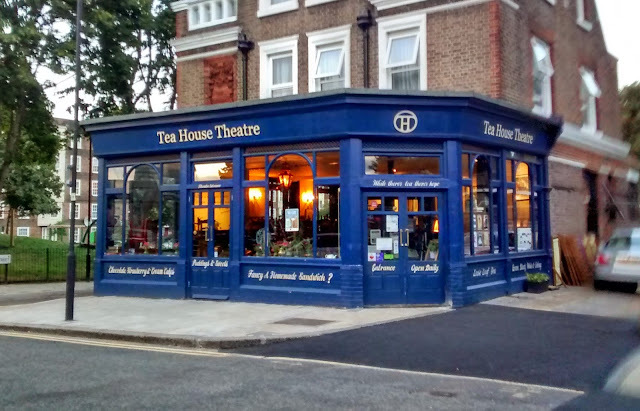 There are sure to be plenty of opinions at the Tea House Theatre in Vauxhall this evening, as Debating London brings speakers together for a good old fashioned argument, based around the motion "This House believes that censorship is a justified response to Islamic extremism in the UK". The monthly series is free to attend, and this month's typically provocative title is promted by the journalists and cartoonists killed doing their job at French newspaper Charlie Hebdo. It's sure to be an interesting evening for anyone who thinks about things that happen in the world. A 1984 mural just off Copenhagen Street, beside Edward Square, commemorates the 1834 meeting on Copenhagen Fields, when around 100,000 Londoners assembled to seek the pardon of the Tolpuddle Martyrs, a group of 19th century agricultural labourers more than 100 miles away in Dorset who were convicted and transported to Australia for becoming members of the Friendly Society of Agricultural Labourers. Following the meeting, called by the Central Committee of the Metropolitan Trade Unions, a group marched to Westminster to present a petition protesting against the deportation of the Martyrs, totalling 800,000 signatures. The martyrs were subsequently pardoned and four of the six returned to England. 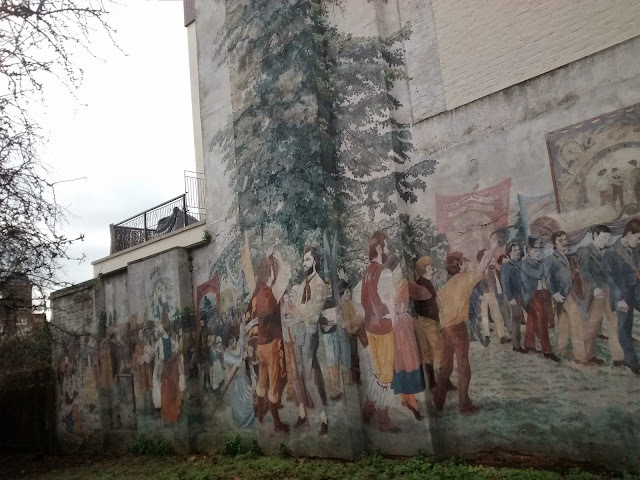 The modern mural was painted by Dave Bangs to commemorate the great march. 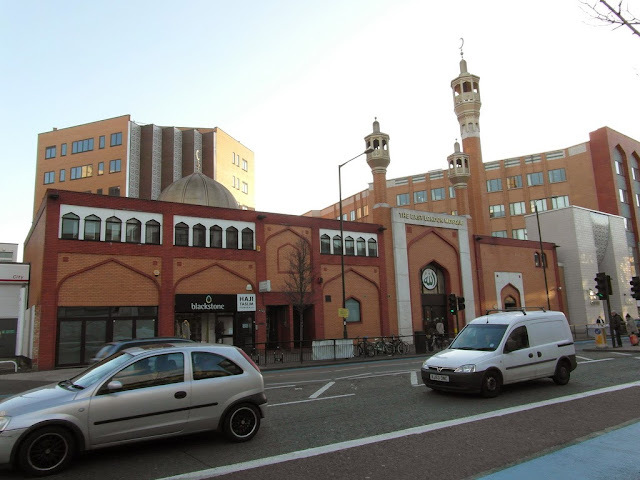 A number of London Mosques are opening their doors today, 1st February, as part of the Muslim Council of Britain's #VisitMyMosque open day, and offering tea and cakes to anyone who is interested in learning more about Mosques and the people who use them. In London, the Balham Mosque in Tooting, the East London Mosque in Whitechapel, the Finsbury Park Mosque, the Hyderi Islamic Centre in Streatham, and the Shi’a Ithna’ashari Community of Middlesex & Sri Lankan Muslim Cultural Centre, both in Harrow are inviting guests to visit. Your author took a very enlightening tour of the East London Mosque a few years ago and found the experience very interesting.